The Singapore Rugby Union (SRU) announced today the appointment of Gene Tong as the new Technical Director. Tong will be responsible for the development and implementation of high performance structures for the National Teams, to mentor coaches with the collective aim of improving the on-field performance of Singapore rugby. He takes over from Inoke Afeaki who departed in June 2017. Tong has brought in Lee Smith, former Director of Coaching at New Zealand Rugby Union to assist during his term. Both Tong and Smith have worked with the SRU as part of a technical review team which resulted in the development of a five-year rugby development plan, which they will now implement during their term. Tong is also the Regional Training Manager (Consultant) to World Rugby for Asia. He has served numerous roles with Singapore Rugby including the appointment as the head coach of the Singapore Women’s 7s squad that clinched silver at SEA Games 2015. “I am extremely proud yet humbled to take on the role as the SRU Technical Director. We have a good pool of talented and skilled players who have the potential to do even better. 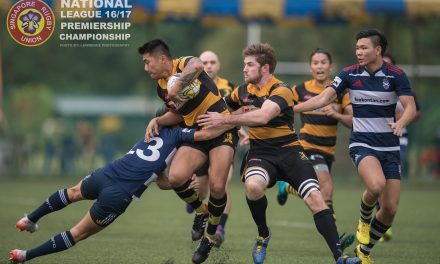 Our aim is to improve the quality of rugby across all levels from grassroots through to National teams and also implement high performance measures which will improve our performances for the upcoming South East Asian Games (SEA) 2017, ASEAN Games 2018 and gain promotion back into Division 1 of the Asia Rugby Sevens Series as well as the Asia Rugby Championships. I am looking forward to work with the national team coaches to reach our goals together,” noted Tong on his appointment. Both Singapore Men’s and Women’s 7s teams will be aiming for gold at the upcoming SEA Games Rugby 7s held in Malaysia on 19-20th August 2017 at MBPJ Stadium, Kelana Jaya. 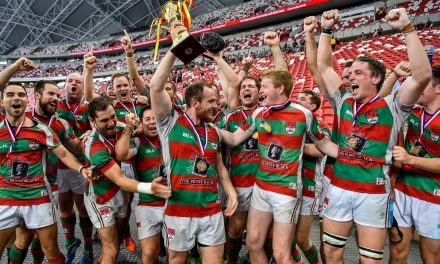 Fans who wish to travel to Kuala Lumpur for the Rugby 7s Tournament can find details of the Supporters Tour Package here.